The day Linda showed Calli to her Championship in Lansing MI 2012 Look at her smile! I'm having so much fun in the snow!!!! 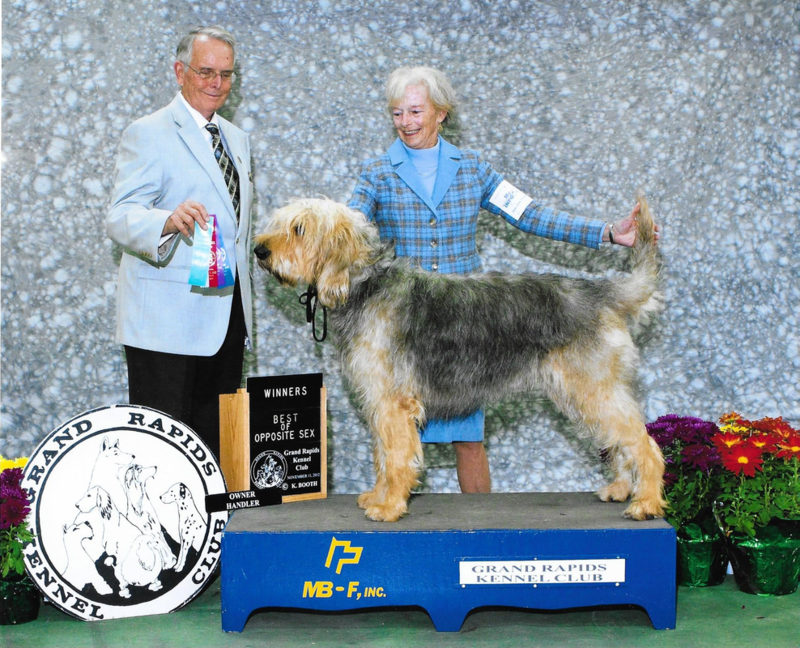 Judge Sidney Marx awarding Calli a Group 4 at the Sturgis Kennel Club show in Marshall MI We are SO PROUD of you guys!!!!!! !